Lawless Jakarta does more than just building charming custom motorcycles. The workshop has morphed into a dynamic hub for the growing motorcycle community in Jakarta. The crew at the Lawless Jakarta workshop in Kemang, South Jakarta, has brought back the glory of the 1950s classic boardtracker through its one-of-a-kind design. The boardtracker design is supported by a bespoke stainless-steel frame, developed by Lawless and DodiChrome Cycles, and boasts a full chromed body with a blue accent. Fittingly, the bike will house an engine of the legendary Royal Enfield Bullet 500 – the longest running motorcycle in history to be in continuous production. Building a Royal Enfield Bullet 500 into a custom broadtracker is estimated to cost Rp 100 million (US$7,126). “Lawless Jakarta had never built a classic boardtracker before. This was our first time rebuilding a Royal Enfield this way,” said Roni Pramaditia of Lawless Jakarta. The five months it took to develop the bike’s design has paid off. Lawless’ boardtracker design was chosen as one of the winners of custom motorcycle design competition RE – BUILD, held in conjunction with Royal Enfield Indonesia’s third anniversary on Jan. 26. Lawless, along with three other winners, outclassed more than 70 workshops across Indonesia. Indonesia is one of the biggest, and also one of the most engaged and evolved two-wheeler markets in the world, as Royal Enfield’s country manager, Irvino Edwardly noted. And in Jakarta, Lawless has become an integral part of the capital’s vibrant motorcycle culture scene. Since its establishment in 2011, Lawless has strategically diversified its business at a fast pace. Its Kemang shop not only offers a classic motorcycle garage but also houses a record and clothing store, tattoo shop and most recently a burger bar. Lawless burger bar’s walls are covered with stickers and band posters. The speakers blast songs by Iron Maiden and Black Sabbath, and you can hang out and eat burgers named after icons of rock and metal, such as “The Lemmy” burger – named after the Motörhead front man. Lawless burger joint and tattoo has helped Lawless expand its customer base beyond male gearheads. “When we opened the store it was mostly young men with black T-shirts hanging around. Ever since we opened the burger bar, women have come in,” said Ucup, one of Lawless founders. Interestingly, women make up 80 percent of Lawless tattoo parlor customers. Ucup founded Lawless eight years ago with Sammy Bramatyo, Arian Arifin and Gofar Hilman. Ucup and Gofar found their passion for motorcycles in 2002 when they were in high school. “My parents bought me a Honda s90 and I took it to a welding workshop and customized it into a drag racing, café racer-style bike,” Ucup said. In 2008, the two made their hobby into a business, establishing a workshop called Piston Motorcycles. Ucup and Gofar started with lower-powered motorcycles and eventually worked their way up to the big, high-powered classics. 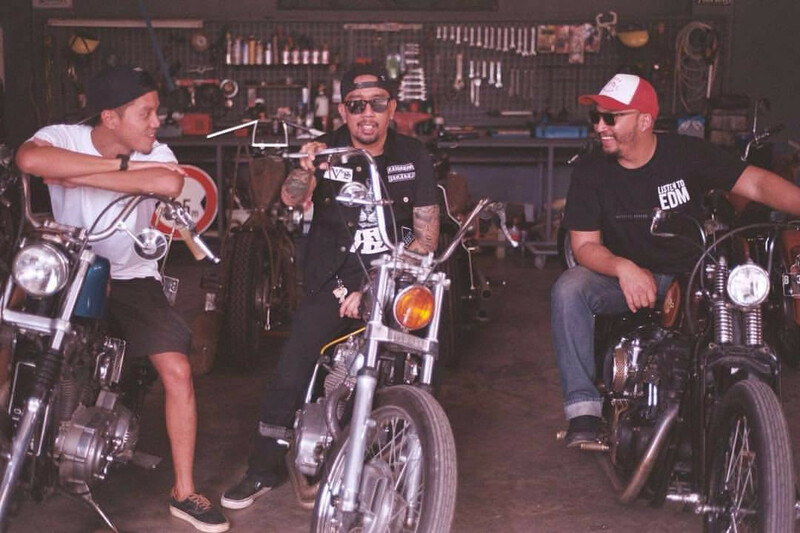 They later merged their bike workshop with Arian and Sammy’s music merchandise store, Howling Wolf, under the Lawless Jakarta flag. 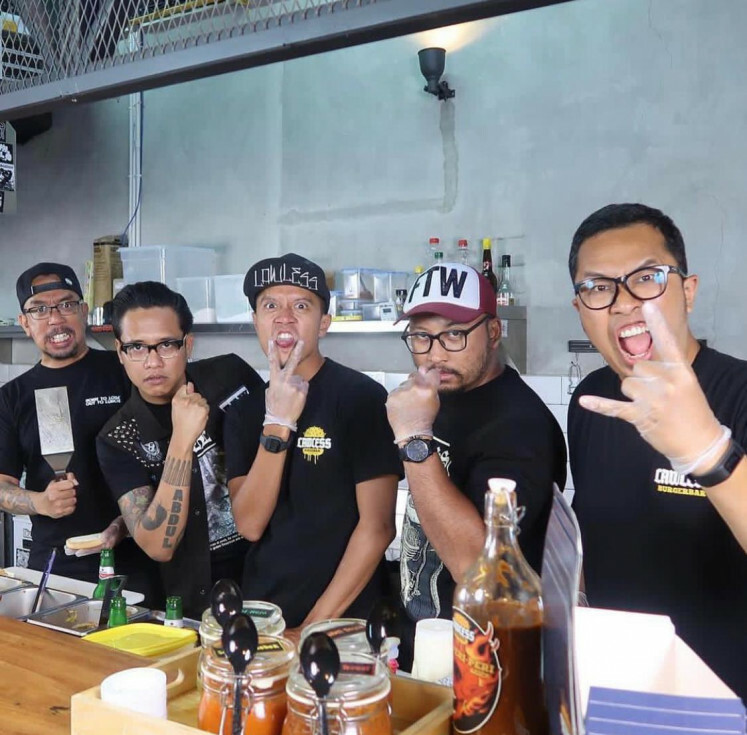 Ucup and Gofar naturally handle the workshop side of the business, while Arian and Sammy – both members of metal band Seringai – manage a lot of the store side of things but are into motorcycles themselves. Lawless Jakarta’s classic design approach has won the hearts of bike enthusiasts across the country. The workshop has produced between 30 to 50 unique custom motorcycles since 2011, Ucup estimates. The bikes will often be torn down and remade from the ground up, with a custom frame and body. Custom classic motorcycles from Lawless generally cost anywhere from Rp 50 million to Rp 100 million, depending on the extent of the modification. The boys have a good set up. 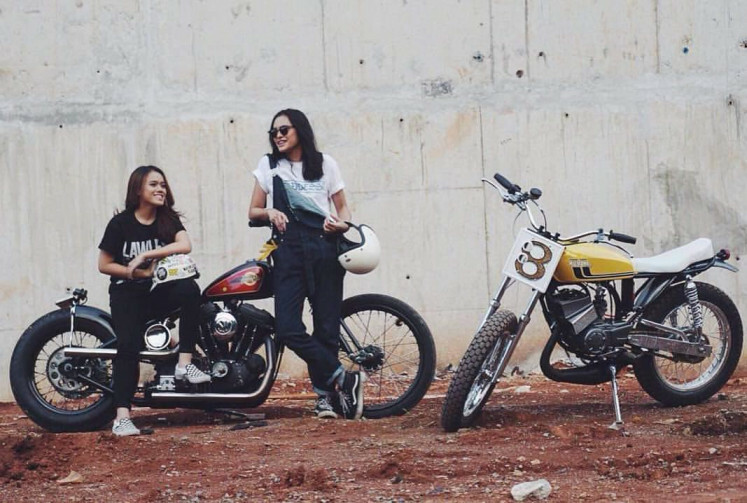 Beyond their Kemang store and a custom workshop in Depok, on the outskirts of Jakarta, they hold yearly motorcycle events, such as the Sekepal Aspal meet-up event and Cinemotor, Indonesia’s first motorcycle-themed film festival. The five Lawless founders have a lot on their plate, working on bike projects aside from managing their stores in Kemang. However, they will soon need to allocate time to build bikes based on their winning boardtracker design. 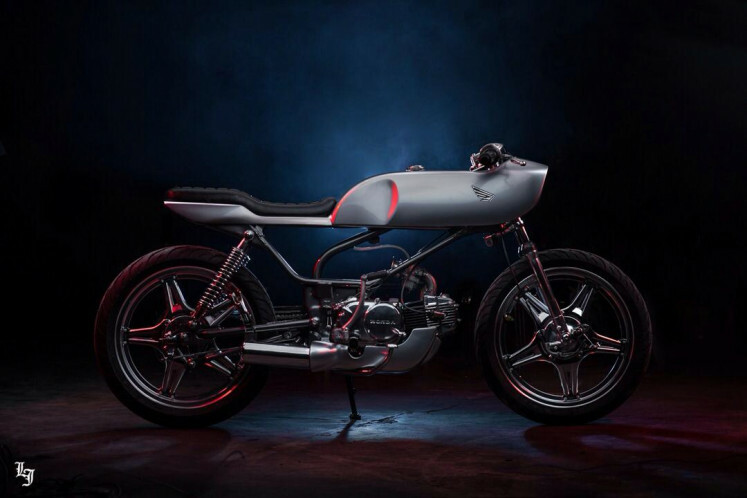 As the competition winner, Lawless Indonesia will receive a Royal Enfield motorcycle and a cash prize from Royal Enfield Indonesia to materialize the design. However, it appears Roni has more plans with their boardtracker design. “We will produce and sell the motorcycle frame and will continue to build other custom bikes based on that frame,” Roni said.